Dr UMAR KHITAB, is Head of Oral and Maxillofacial Surgery Department in Mardan Medical Complex, Mardan. 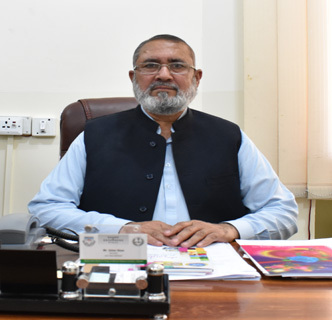 Prof. Dr. Umar Khitab did his BDS from Khyber college of Dentistry in 1987 and then post-graduation from Eastman Dental Institute University of London in 1995. University of Peshawar awarded Gold Medal for having obtained the highest marks in the total of the aggregate of all the University examinations of BDS and declared as the best Dental graduate of the year 1986-87. In 2005 he was awarded Gold Medal by Academic Society of Dental Surgeons. He started his professional career as dental surgeon in 1988 and elevated to the post of professor in 2012. He has published 27 research articles in different national and international journals on oral and maxillofacial surgery.